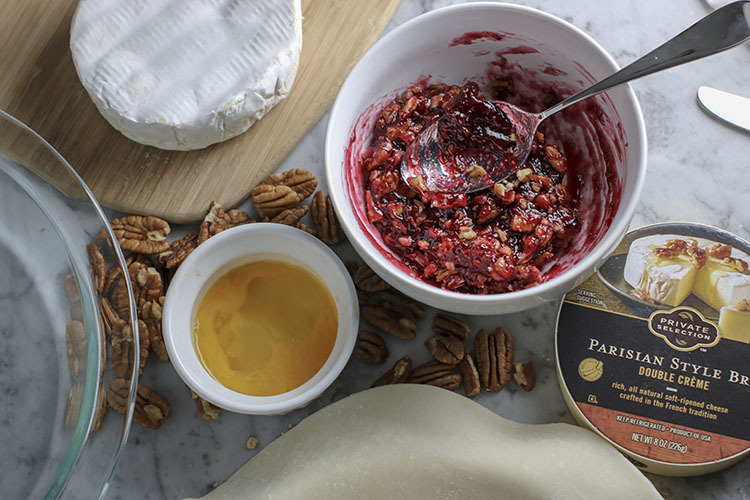 Baked Brie with Raspberry Preserves and Chopped Pecans is HANDS DOWN my favorite go-to appetizer for ANY occasion. Seriously. 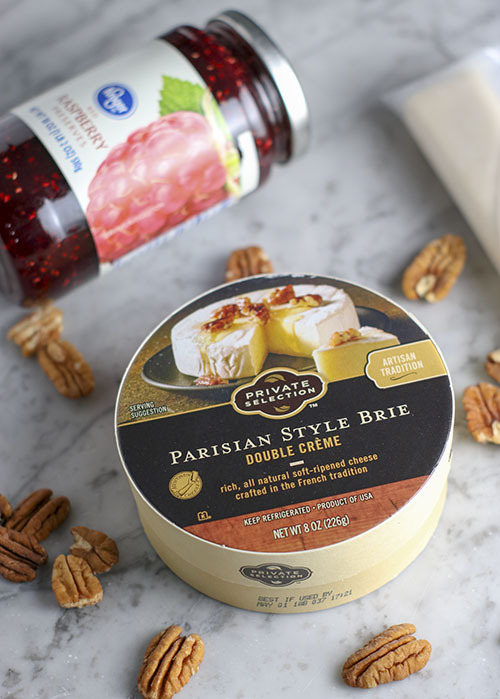 I could be going to a fancy cocktail party or a fratty football watch party – no one says no to Baked Brie. Warm, buttery crust surrounds creamy melted cheese. 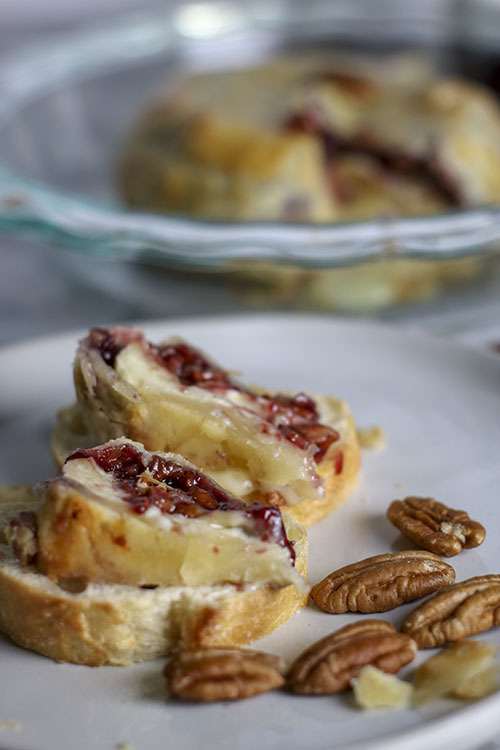 Flavorful layers of crunch pecans surrounded by fresh raspberry preserves. I am literally drooling as I write this. Enjoy with bread, crackers, or as-is – you will LOVE IT! I can’t fully take credit for this recipe. I actually I cannot at all take credit for this recipe. This is my mother’s recipe. Her first batch that I can remember was made with her homemade homegrown raspberry preserves. Yup – that’s right folks. Homemade. Made at home. With fresh raspberries plucked from our very own raspberry bush in the backyard. What’s even cooler? The originally seedling for the bush came from a raspberry bush which was at my grandparents house in New York state! I swear – I didn’t like jam, jelly or preserves until I tasted this stuff. Pure gold. Or should I say, pure scarlet? Pure carmine? Yes, friends – I did just google search “fancy name for maroon” and based on a very USEFUL Wikipedia page – I have determined that carmine is the most appropriate color to represent Gail’s homemade preserves. 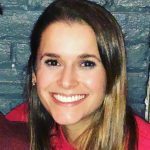 Though, now that I think of it – I guess one would say pure gold because gold is worth a lot of money, hence whatever you are talking about is valuable. Well shoot. In case you are interested though… You can see what carmine looks like here :). Perfect, right? So – you know me. Dilly dallying all around. Talking about all sorts of silly things – I know, I know – get to the point. The point is that I. Love. Baked. Brie. 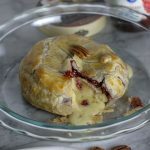 You can take this recipe – the brie, the crust, the egg wash – and you can put any number of delicious things inside. It will be delicious no matter what. Why? 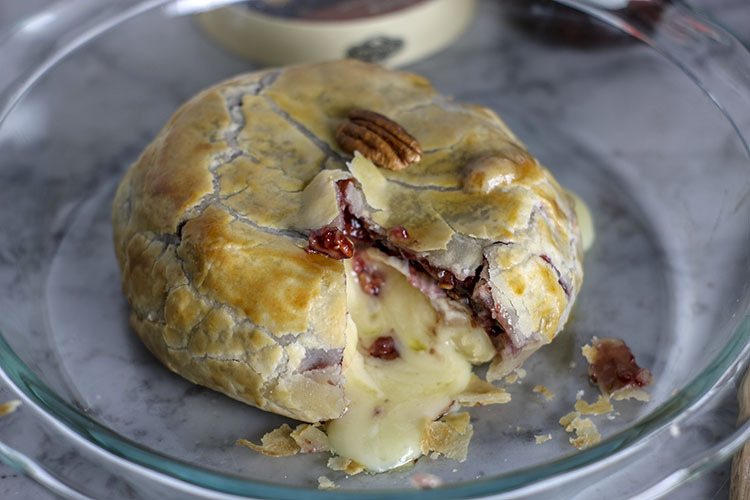 Because Baked Brie is delicious. But for now, for this moment – enjoy a combination of simple ingredients that I PROMISE will please any crowd. 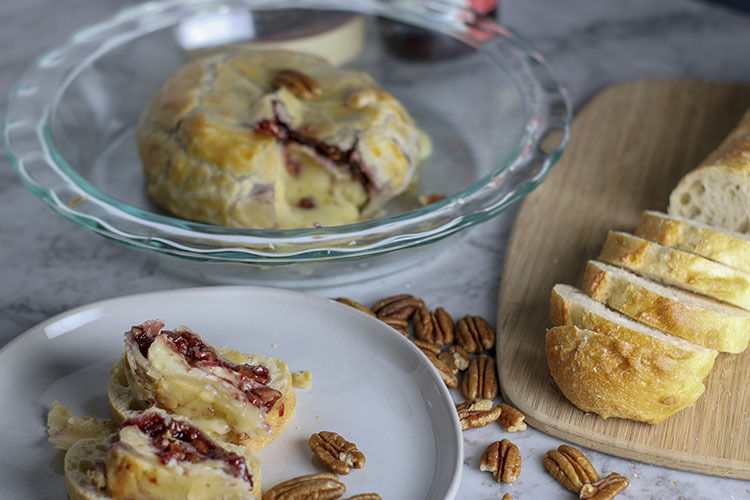 Warm, buttery crust surrounds creamy melted cheese, crunchy pecans and fresh raspberry preserves. 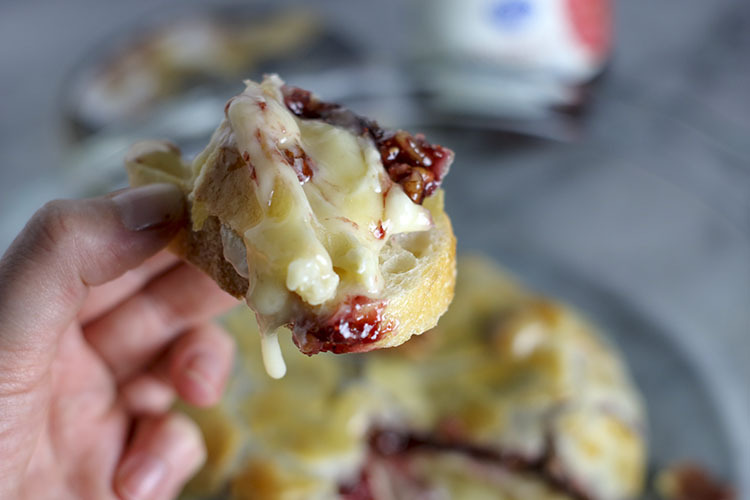 Enjoy this Baked Brie with bread, crackers, or as-is - you will LOVE IT! Preheat the oven to 375F. While oven is pre-heating, allow pre-made crust and brie to come to room temperature. In a small bowl, mix raspberry preserves and finely chopped pecans. On a lightly floured surface, unroll pre-made pie crust (for a small 8-ounce brie, no rolling pin is necessary - for a large brie, slightly roll out crust with a rolling pin). Set aside. In another small bowl, beat egg to create egg wash. Set aside. 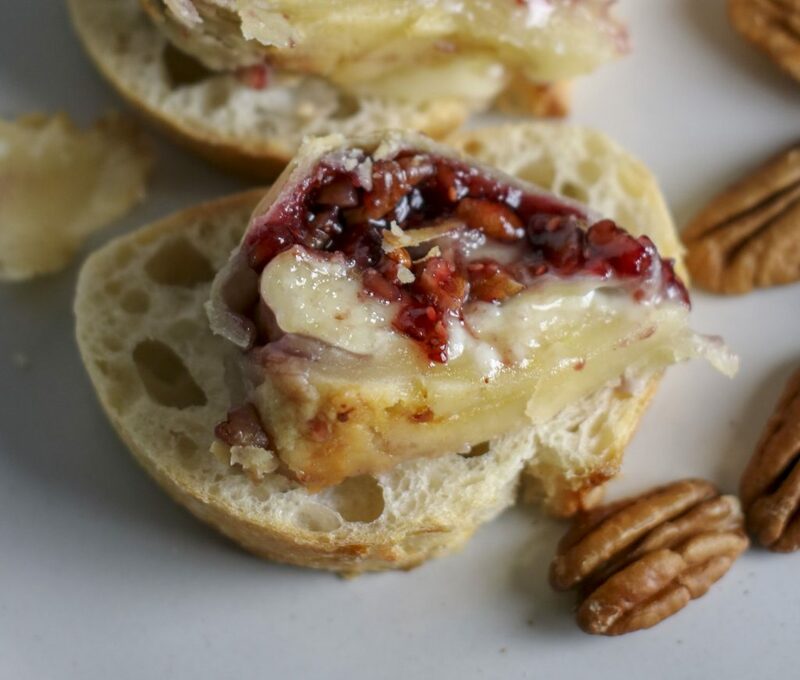 Spread preserves onto one side of brie. Place brie preserve/nut side down into center of pie crust. Use a knife to cut around brie - making 5 small triangle slits in pie crust (end of cut should meet the edge of brie). Begin to wrap brie with pie crust, folding one piece of crust over another. Use a pastry brush and beaten egg to help crust stick to itself. 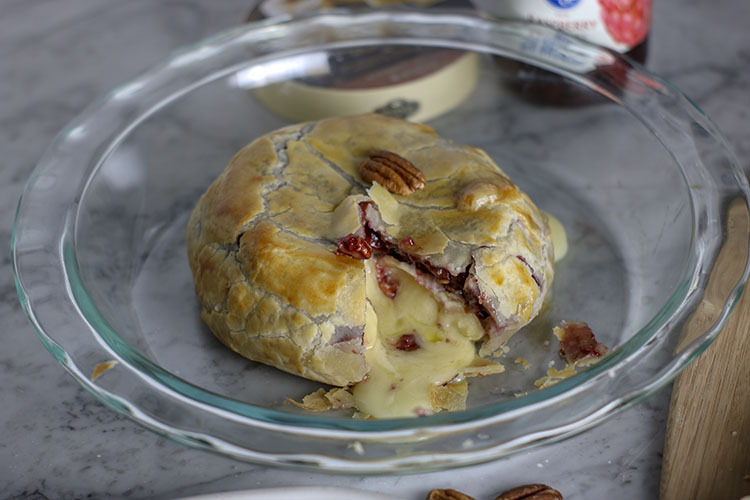 Use fingers and egg to blend pie crust into itself, fully encasing the brie. 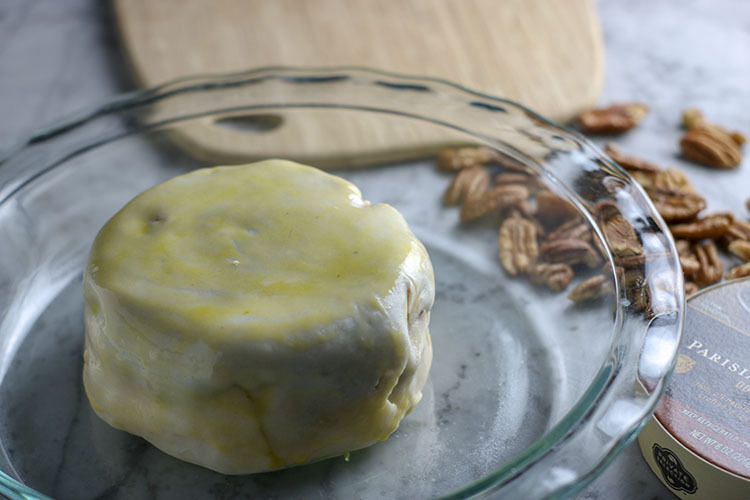 Brush fully wrapped brie with egg. 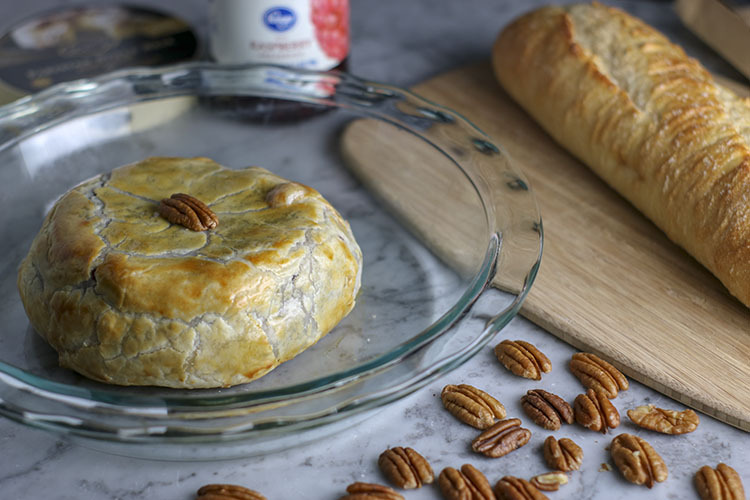 Place brie into a small casserole dish or bake-safe serving dish (be sure the dish has a lip in case the brie oozes while baking) - add any pie crust design to the top of brie, then use pastry brush to egg wash entire crust. Bake at 375F for 35-40 minutes or until crust begins to brown. Remove from oven and allow to cool for 10-15 minutes before serving. Enjoy with bread, crackers, or as-is! YUM! Storage: Seriously? You have leftovers? I am impressed! Wrap with tin foil and refrigerate for 3-4 days.